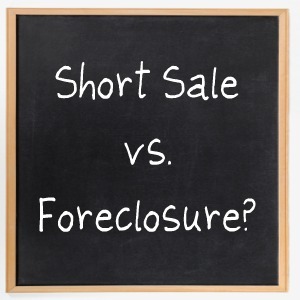 Tips for Foreclosure & Short Sale Buyers | The Law Office of Emil Fleysher, P.A. Tips for Foreclosure & Short Sale Buyers | The Law Office of Emil Fleysher, P.A. First is the condition and price of the home. Since a foreclosure occurs because the home owner stopped paying their mortgage, they were likely unable to afford to maintain the home as well. This could mean the property needs major repairs, such as a new roof, which can be quite costly to repair. Foreclosures are normally sold “as-is” with no guarantees from the seller, usually the bank that foreclosed on the mortgage. A home being sold as a short sale will likely be in better condition than a foreclosed property since the owner is still living in and maintaining the property whereas a foreclosure may have been sitting vacant for a year or more. Other factors that differ between foreclosures and short sales are the price and time needed to close. Foreclosures generally happen faster than short sales and are priced lower because the home may need major repairs. Short sales are often priced higher than foreclosures, but unless the mortgage holder has already agreed to the selling price it will still need to be approved before the title can be transferred. It can take up to 6 months to be approved and then there is a large amount of paperwork the seller must complete to prove to their mortgage holder that they are even eligible for a short sale. You could wait for a year to purchase a short sale and then still lose the property due to the current owner’s financial situation. Foreclosures may close quicker because the property is already vacant and the bank is losing money every day they are in possession of the property. Finally, the closing costs and financing options available for short sales and foreclosures vary widely. Some lenders may require foreclosed properties to be repaired before they will offer a mortgage, but since you do not yet have the mortgage you would essentially be repairing someone else’s home. Short sales can be very time consuming and loan documents may even expire and need to be updated before being submitted. Every seller is different, but it is important to remember when purchasing a distressed home that the seller neither has nor wants to spend money on the property or the closing costs so you must be prepared to do so for the sale to occur.